Rajiv Deochand, MD, 2016 Blake W.H. 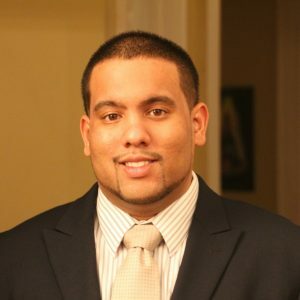 Smith Scholarship awardee and resident in the MidMichigan Medical Center Family Medicine Residency Program – Midland. Disembarking off the plane in San Pedro Sula, Honduras, I wondered if I was prepared for my first medical mission trip. A culmination of studying from prior weeks regarding topics such as geographical-appropriate tropical diseases and reinforcing physical exam skills came to an end as I was met with feelings of both nervousness and excitement for the week ahead. I was curious on how I would be able to formulate an assessment and plan for patients in this limited resource setting. This particular trip we saw 1050 patients in the span of four days. 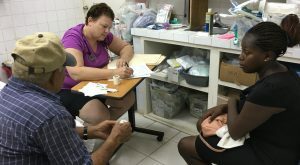 The medical team provided care at the main clinic in Limón and three of the nearby satellite villages of Whispering Hope, Icoteas, and Plan de Flores. Local translators were provided for those that could not speak Spanish. It was comforting to know the medical advice I provided was being understood and I was even able to refresh past Spanish lessons by learning several words and phrases. On the first day of clinic, we made our way the remote village of Icoteas. 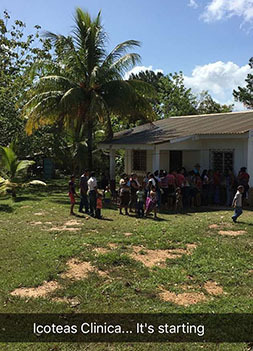 Partnered with a Honduran physician, we encountered a chickenpox outbreak in the village. In the end, we transferred one obstetrical patient to the hospital for acute varicella and provided supportive care to the children. Already, this was one of the most interesting cases of the trip and I was curious to know what else I would be able to experience. 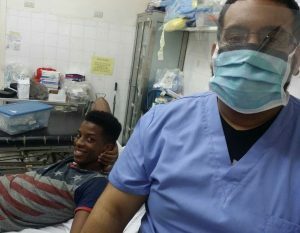 My expectations on encountering interesting tropical diseases quickly faded as I realized that many of the patients being seen in the clinic suffer from similar disease processes seen regularly in the United States. Hypertensive urgency, uncontrolled diabetes, seasonal allergies, and a variety of musculoskeletal and skin issues appeared to be the team’s theme of the week. Small procedures such as laceration repairs, abscess drainage, wound debridement, and joint injections were performed on a variety of patients. Quickly finding solutions for patients while also trying to follow evidence based guidelines in a resource limited area was quite challenging, however, manageable. Lastly, as Family Medicine physicians, we believe that good oral hygiene during well health visits is important to the overall health of an individual. One practice management goal we helped to reignite involved launching a comprehensive oral health program. 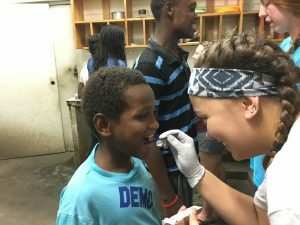 In addition to donations that provided toothbrushes, toothpaste, and dental floss for distribution, children seen in the clinic, as well as the local orphanage, received dental varnish applications to help prevent against tooth decay and dental caries. One observation noted was that many of the children we served knew the general basics of oral hygiene and even started to unwrap their toothbrushes as soon as they got them. A lack of supplies was the limiting factor to their daily oral care. Overall, the trip was one that taught me much on how to deliver care in an environment with limited resources while appreciating the cultural influences that affects the health and healing of that particular community. For example, those patients who had hypertensive urgency or uncontrolled diabetes with hyperglycemia, I would have typically sent them to the emergency room to be evaluated and possibly admitted. Here, I treated as best I could with the medicines we had and hoped they would follow up with the next team as asked. Departing San Pedro Sula with return to the United States, I knew that I wanted to continue furthering my Global Health aspirations, but more so learned how to incorporate the lessons I learned on the trip to the patients in the community I currently serve in the United States.